Gists Wow! 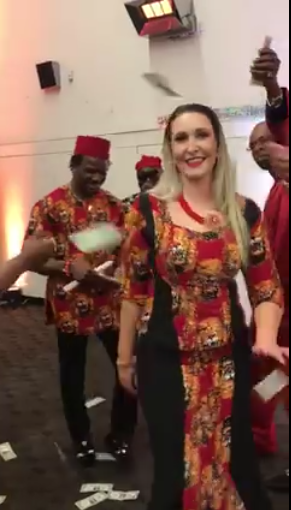 Igbo Man Doesn't Joke With His Culture, He Did His Traditional Marriage Abroad. Wow! 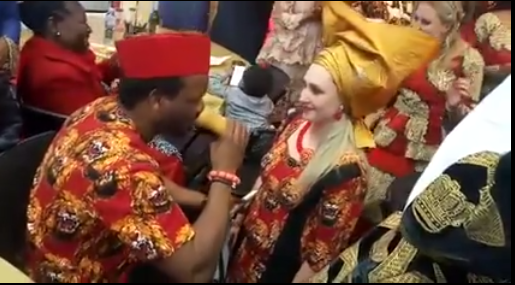 Igbo Man Doesn't Joke With His Culture, He Did His Traditional Marriage Abroad. An Igbo man is usually noticeable in any location, they don't joke eith their culture and tradition. Recently a Nigerian man decided to the the unusual by holding his traditional wedding beyond the shores of the country. Unlike Most Nigerians who do not hold their traditional marriage at all when marrying an international lady. Or sometimes they do hold their court or church wedding abroad and come back home to do the traditional ceremony. But a newly married, identified as , Leonard Dukes, did the unusual and wanted to be different in other to enjoy the moment with his lady not minding the foreign location. It is said that,Dukes,who is an Igbo man lives in Melbourne,Victoria,Australia. 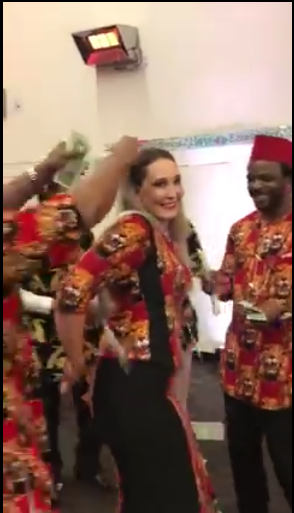 He got married to his beautiful White lover just recently, as seen in the pictures, the family of the White lady and friends of the new couple graced the colourful occasion. 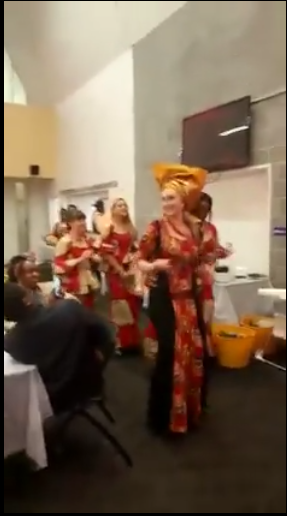 The Bride joyfully danced as she rocked Ankara along with her Asoebi (mainly Whites). Wish you guys long lasting love,congratulations.